August 2013 – Homeless and Loving It! It seems appropriate that our 100th post would be a Roadside Curiosity. Before we plunge into our latest hidden gem on the road, We want to say hello to many new followers. It is both surprising and pleasing to find that almost 8,000 views have been made to our site in it’s first year. You will note that we’ve added a contact form starting with this post. So if you want to contact us but don’t want to make a public comment you may send it via the form at the end of this entry. After we finished at the Alexander Graham Bell National Historic Site the weather had cleared and was sunny for the first time all week. 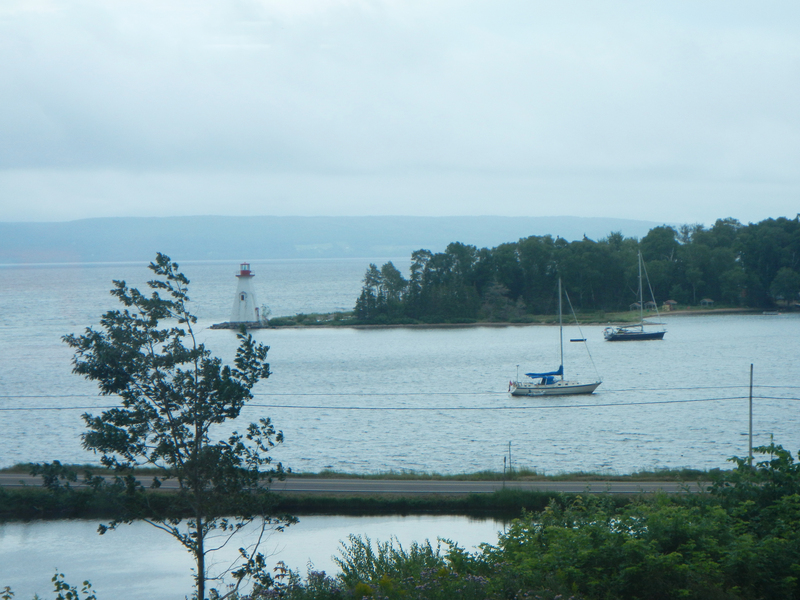 We decided to drive the Bras d’Or Lake Scenic Drive again. We were driving along when we saw a sign GIANT MACASKILL MUSEUM. What’s a Giant Mac Askill? I don’t know. Think we should check it out? Here? It looks like someone’s driveway. Ya, but there’s a sign in the yard. We pull in and park. Steve peaks in a side window as we approach the house. We go around to the front and there is an OPEN sign by the front door. We walk in to what seems more like a deli/bakery than a museum. Is this the Giant Mac Askill Museum? (Young girl behind the counter) Yes. It’s $2.50 each. So we figure it must be worth it to find out what’s here. We enter a large room to find a collection of memorabilia and a life size statue of Angus Mac Askill. 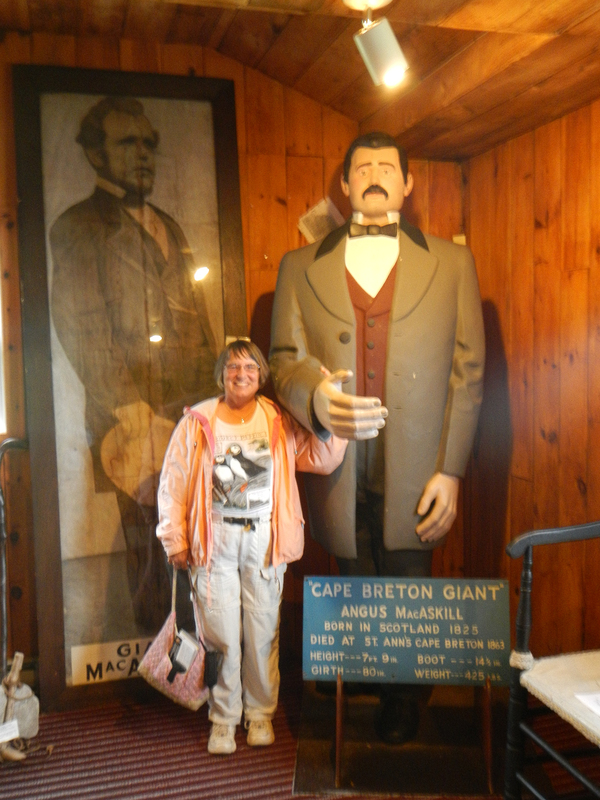 At 7’9″ and 425 lbs., he is known as the Cape Breton giant. Of course, I just had to have my picture taken with Angus. We don’t know how this museum came to be or how they collected items that had belonged to the Giant. Family, perhaps? Wikipedia to the rescue. 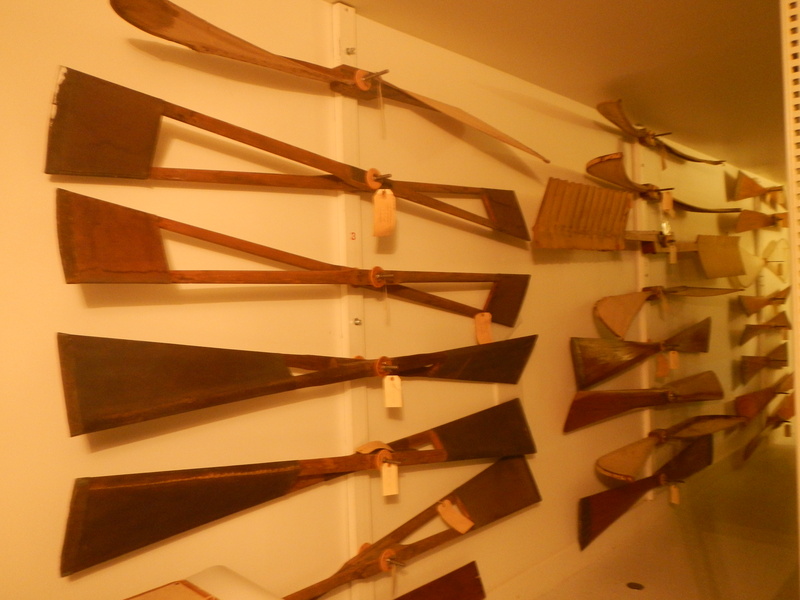 Originally some of Angus’ personal effects were on display at the Gaelic College. In the late 1960s the museum was established on the front portion of his farm by the Giant Mac Askill Heirs Association. It was interesting to see the oversized furniture and clothing. He was a true giant meaning that he did not suffer from any growth abnormalities. Per the Guinness Book of World Records in 1861 Giant MacAskill had the largest chest measurement (80″) of any non-obese man. His shoe size was 17. 1/2. For four years he performed with P. T. Barnum’s Circus. He often was contrasted against Tom Thumb. Angus died in 1863 at the age of 38. Have you ever thought what the world would be like if the telephone had never been invented? 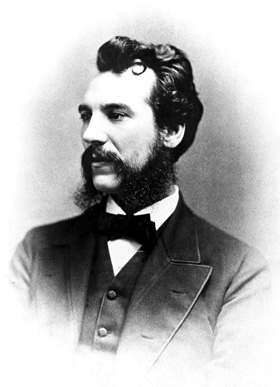 Thanks to Alexander Graham Bell we have instant contact whenever we want it. OK, now name other inventions Bell was involved in researching. Other inventions, you ask? Yes. In fact he was a prolific inventor. Although he lived in Boston and later in Washington, D.C. he spent his last 30+ summers in Baddeck (Baa – deck) on Cape Breton Island in Nova Scotia. 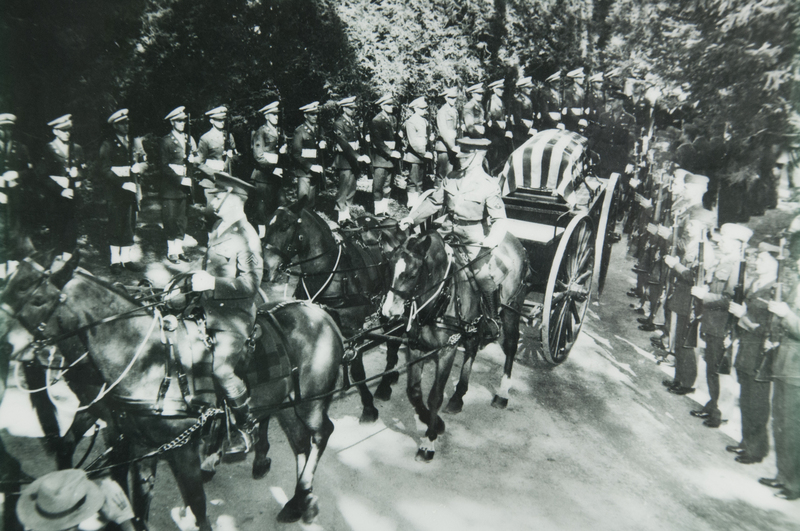 Having been born in Scotland, he’d moved to Ontario, Canada with his mother and father in 1870. Baddeck reminded him of Scotland and he built a large home there, Beinn Bhreagh, which is still owned by the Bell family. 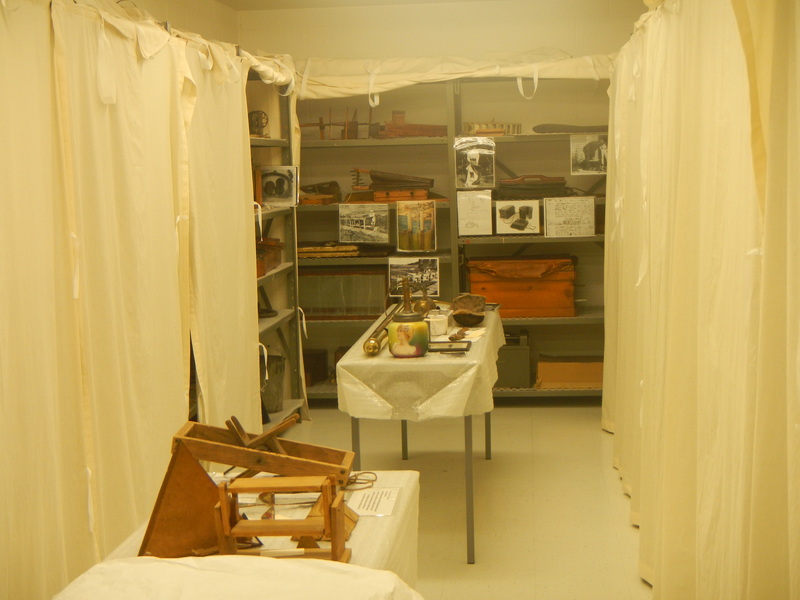 In the 1950’s his daughters donated all of Bell’s inventions, papers and personal effects to Canada on the condition that a museum be built in Baddeck. Canada already has a museum in Ottowa devoted to the telephone. 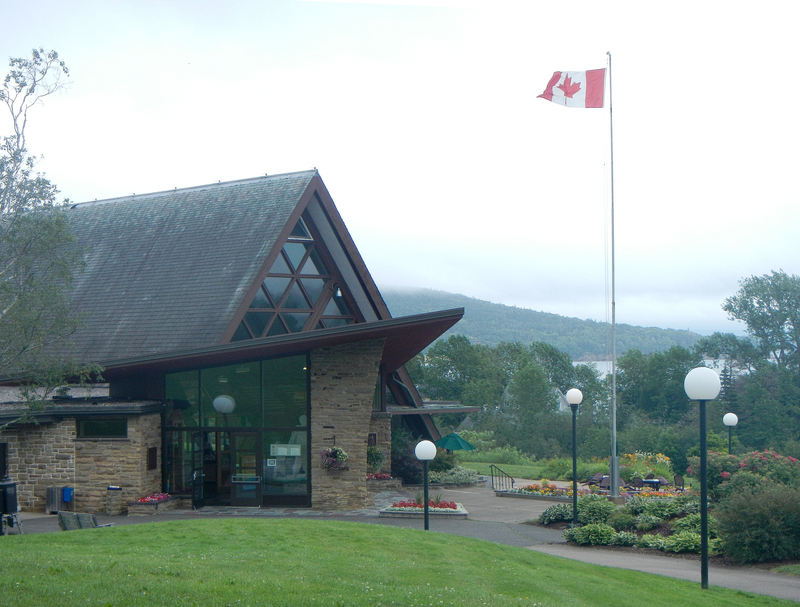 The Alexander Graham Bell Museum in Baddeck is devoted to all of his other interests and inventions. I had no idea he was such a creative genius. He grew up in a time when inventors were creating the things we take for granted today i.e. pasteurization, wireless (telegraph) communication and the phonograph (life before downloading for the younger folks). He was a contemporary of Edison and Marconi. As you enter the exhibits there is a timeline leading up to the invention of the telephone. His experiments were funded in part by a man named Hubbard. In 1877 Mabel Hubbard would become his wife and business partner. Not since John and Abigail Adams have I heard of such a devoted couple with ongoing correspondence. He was the inventor while she managed the business issues. She must have loved him very much as we learned he was prone to getting an idea and then grabbing whatever he could find around the house to work on the project. One time he took silk fabric she’d just ordered from Italy for a dress to use on a tetrahedral kite. Another time he grabbed a wooden blind off a window to become a prototype for an airplane propeller. We learned this and much more quite by accident, luckily for us. Steve spotted a small sign on the wall saying “ASK ABOUT OUR WHITE GLOVE TOURS”. So we asked. These tours aren’t mentioned anywhere else that we saw. You pay $5/room (there are 3 rooms) to go behind the scenes with a Park Interpreter for 30+ minutes. 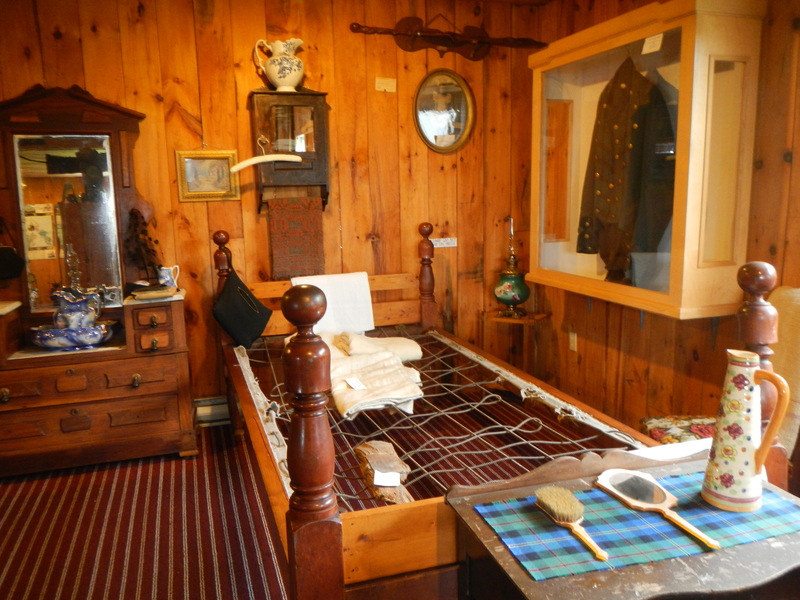 The rooms are divided by interest area into Bell’s workshop, The family room and the aviation room. We choose to do all 3 and it was the highlight of our visit. 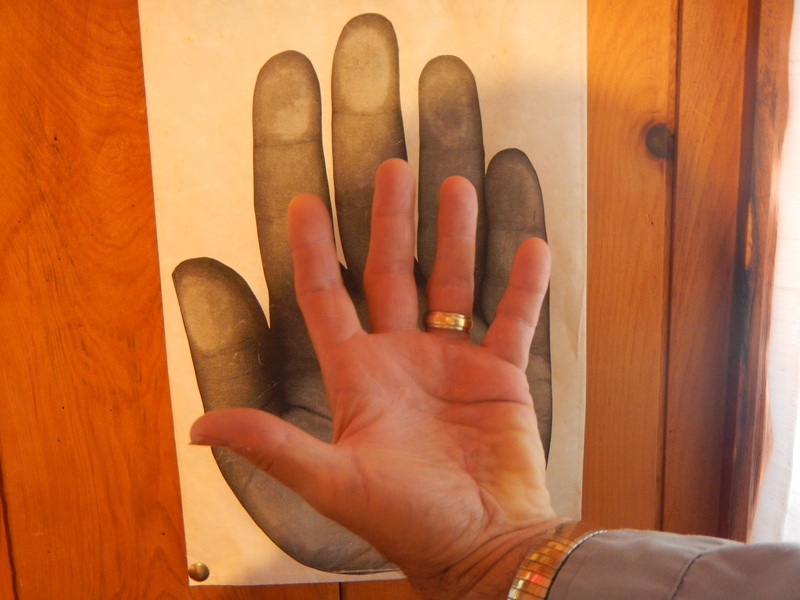 In his workshop, with white gloves on, we were able to handle various artifacts he had fabricated or used in experiments. The Interpreter told us just that morning they had been doing some research on another topic when they discovered documentation about a whistle in this room. It told them he was experimenting with the conduction of sound underwater. Since this was during WW I, could he have been investigating what we came to know as Sonar? In the second room, the family room, we saw photos and heard a copy from the Library of Congress wax cylinder with his voice. We also learned he was instrumental in forming the National Geographic Society and his relationship with early aviation pioneers to form the Aerial Experiment Association in 1909. 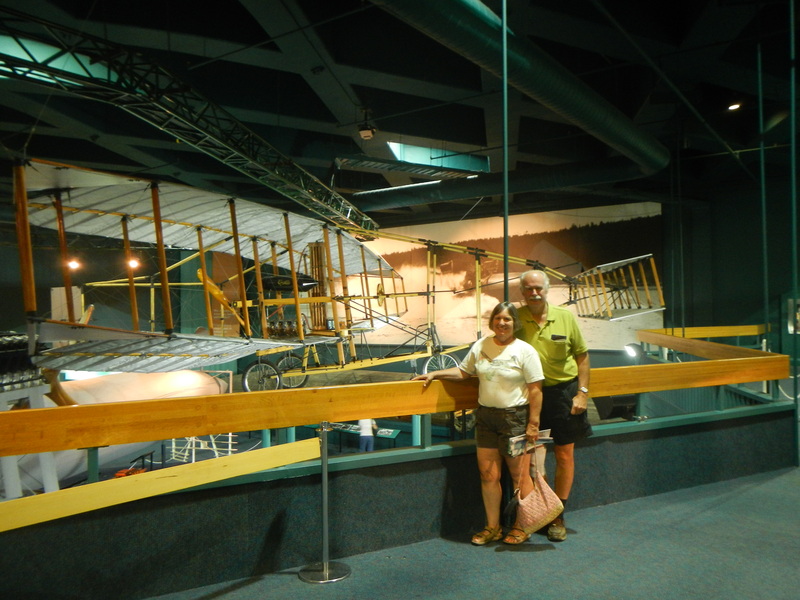 Room number three held hi experiments with flight that led to the hydrofoil and in 1909 the Silver Dart, Canada’s first powered, controlled airplane flight. Bell was involved with the HD-4 hydrofoil which set a world speed record in 1919 but never rode on it. The theory is that he had perfect hearing and depended upon this for many of his experiments. He was afraid that the noise encountered by being a passenger would damage his ears. 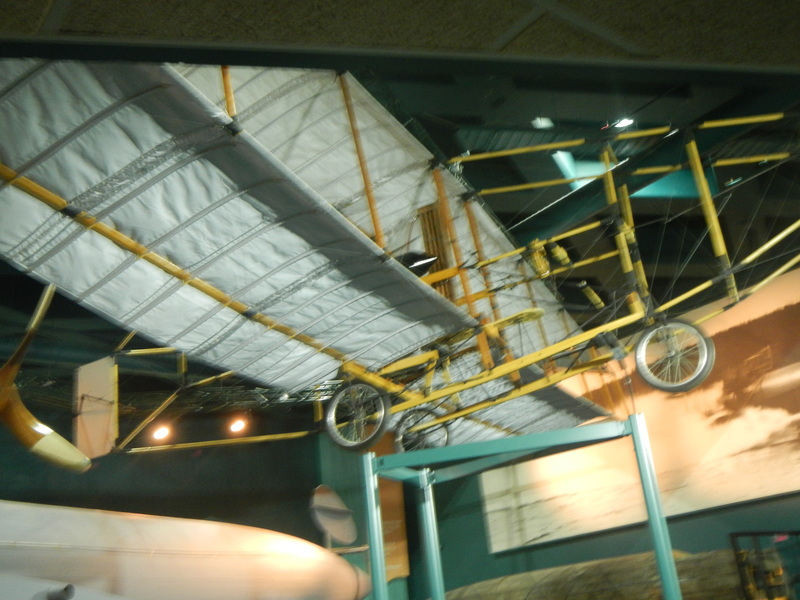 In 2005 the Aerial Experiment Association began fabrication of a full size replica of the Silver Dart to commemorate the centennial in 2009. 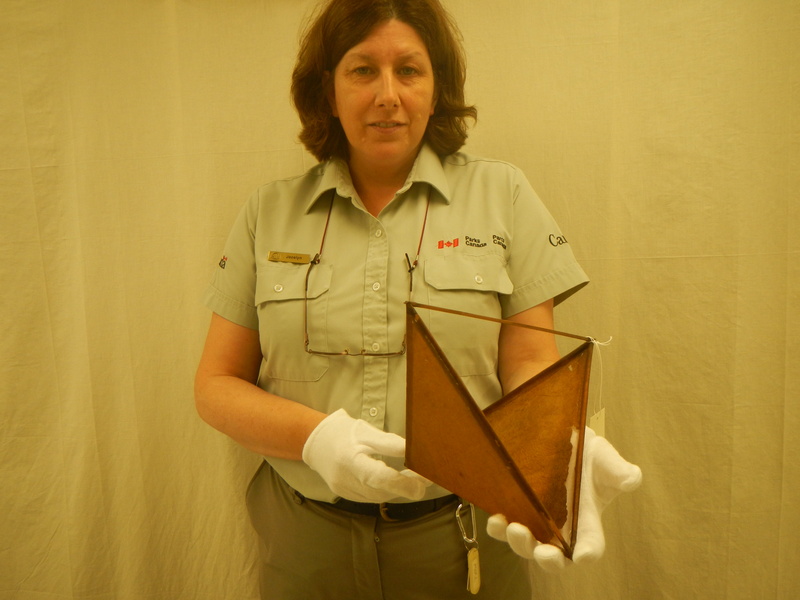 That February, the replica was flown by a Canadian astronaut. It took off from a frozen Lake Bras d’Or just as the original had done. It will never be flown again. 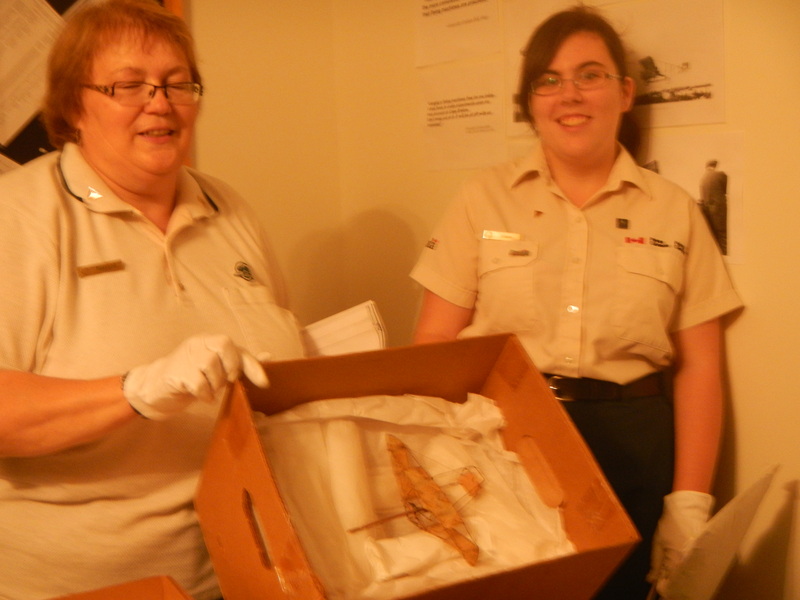 In April of 2013 the back of the Alexander Graham Bell National Historic Site was opened and the Silver Dart brought in for display. 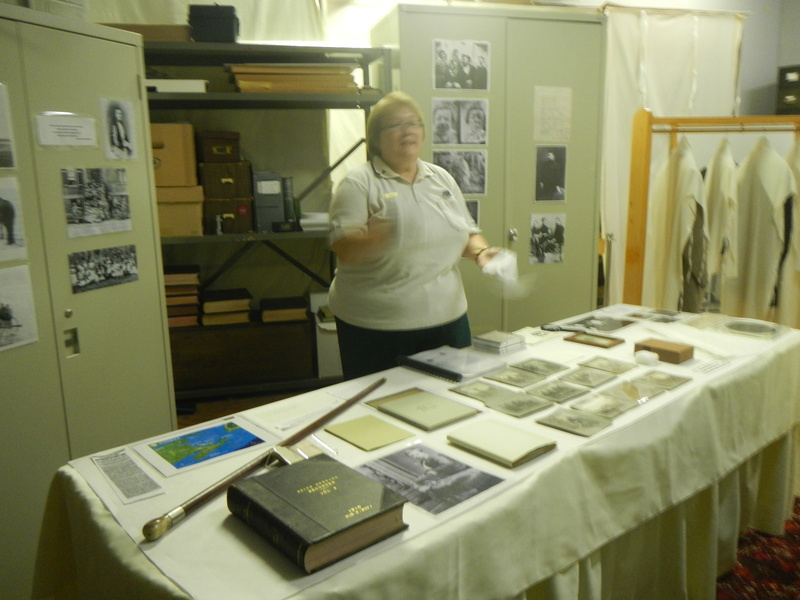 If you go to the Alexander Graham Bell National Historic Site, don’t miss the White Glove Tours! Silver Dart Replica On DisplayIf you go, don’t miss out on these tours! Steve has told you about the ‘Attack of the Tree Branch’ in his last Nuts and Bolts post. This was our rough beginning in the Bar Harbor area. Then it rained or drizzled or was foggy or overcast for the next week. This reminded us of our trip to the north rim of the Grand Canyon when we expected to see the world’s best known abyss only to look six feet down and have the entire canyon socked in. We did see Acadia in a different way in the mist and fog. The scenic drive along Sandy Beach, Thunder Hole and Otter Cliffs was beautiful whatever the weather. (Chari) Having seen and heard so much about Acadia National Park I wondered if it would live up to my expectations. This was my first visit and I was not disappointed. Steve had been here before but only had time to do the scenic drive. This was his first lengthy visit. We registered at the park and obtained our entry pass and thanks to our Senior Interagency Pass it was free. 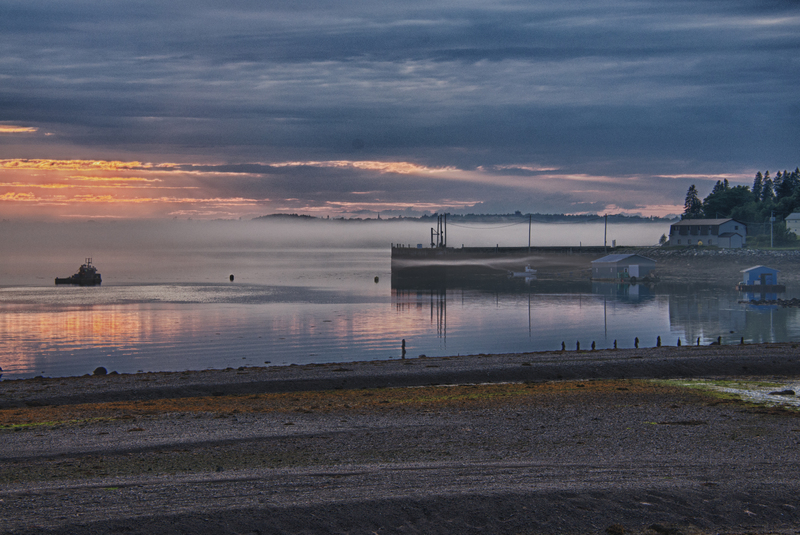 The fog hung like a wet blanket along the coast. Sandy Beach was our first stop. Unlike most beaches in Maine that are covered in cobbles this is a coarse, sandy beach. I headed off to take pictures of some plants while Steve went to the shore. Next stop was Thunder Hole. This area is known for the water forced through the rocks near high tide. Our timing was good but the fog was so thick we couldn’t see much. Then down along Otter Cliffs that tower over one hundred feet straight out of the ocean. We’d come back for a hike along the Cliff Trail later. 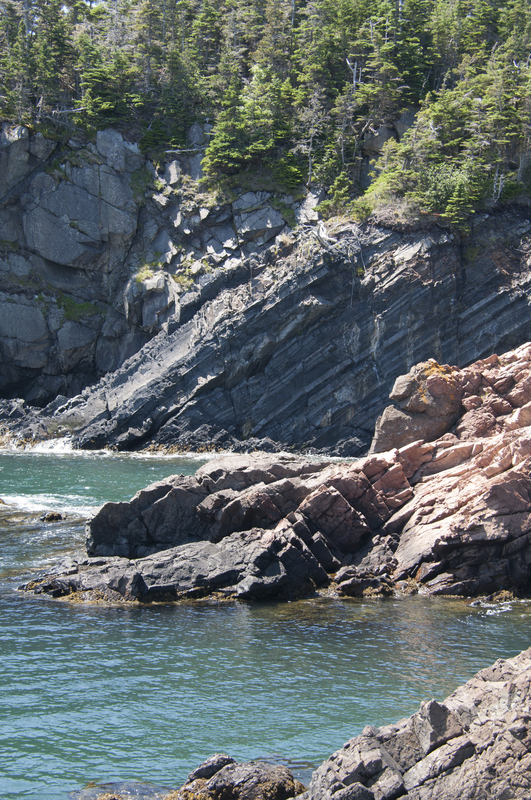 There is much more to Acadia than the scenic loop. As the weather cleared and temperatures reached the high 80s we drove to the top of Cadillac Mountain. In North Carolina we’d call this a bald where the soil has eroded and rock outcroppings are the dominant feature. The end of June is bloom time for small wildflowers called sandworts. They cover the mountain. We enjoyed the view, took some panoramic shots and then stopped for lunch. Our plan was to hike around the mountain but within half an hour the fog moved in and you couldn’t see anything more than ten feet away. We’d heard that this was a good place to come watch fireworks on the 4th so we’d be back, or so we thought. We planned to join a Ranger for a walk along the carriage roads and learn about Mr. Rockefeller’s Bridges that connect the twenty-three miles of carriage roads in the park. We didn’t go … it rained and rained and rained. We did hike along a lake and take a short bike ride on a carriage road later on in the week. We wanted to go kayaking on one of the lakes but again the weather was not cooperative. Acadia is a much more pet friendly park than many of the National Parks. Opal was allowed to accompany us on the carriage roads and ride in the car. (Steve) One morning at our campsite in Lamoine SP I spotted several cedar waxwings in a tree nearby eating the berries. I knew Chari had never seen one so I quietly walked to the trailer to get her. We spent the next twenty minutes watching and photographing them. We even observed a pair courting by feeding berries to each other. There is a third section to Acadia National Park called the Schoodic Peninsula Scenic Drive. 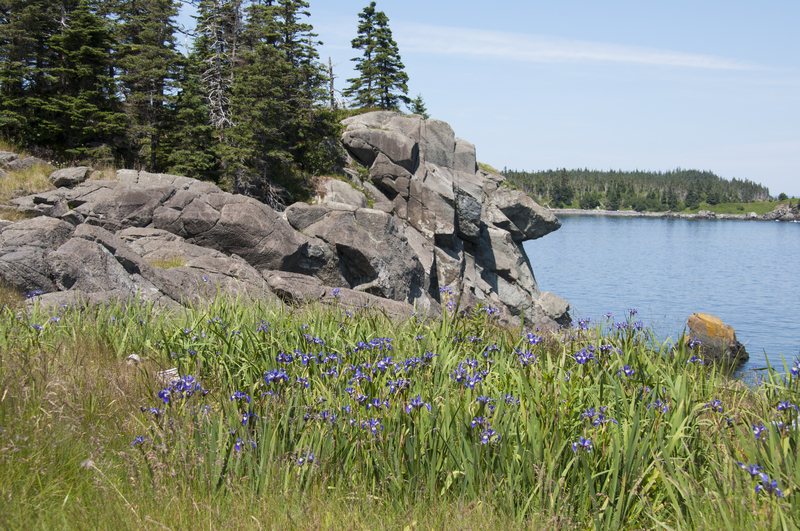 It, like Isle Au Haut, is visited by fewer people than sights at Mount Desert Island. It’s a great place to explore the rocky terrain, the woodlands or ride a bike. There is a newly expanded Visitors Center there. We didn’t visit as the dedication ceremony was taking place that day. The Schoodic Scenic Drive is a National Scenic Byway route. Don’t miss it. We’ve put together a 7 minute video of some photos we hope you will enjoy. For best results allow the movie to load before playing. Acadia is a beautiful park and we look forward to returning to see it in the autumn and maybe Spring too. Being the July 4th holiday it was a madhouse with lines at the Visitors Center just to buy the entry passes. If you plan to go try to avoid major holidays although nearby Bar Harbor does have a great fireworks display. To celebrate the 4th we drove to Bar Harbor and parked about a half mile away. Then we walked about a mile to the Lobster Fest being given by the local Kiwanis Club. The YMCA (or was it YWCA?) was having lobster races to raise money. We got there for the last two “races”. Races is in quotes as this falls somewhere between watching grass grow and watching paint dry. On our way back through town we stopped for some ice cream and started talking with a family from the New York City area. They were fascinated with our RV lifestyle and said they’d be reading the blog. So if you’re reading this… Hello! Since the weather had turned warm and sunny we thought going on the harbor sunset cruise and watching fireworks from the boat would be fun. Luckily even though it was a last minute decision we were able to get tickets. The cruise was about an hour long and went around the harbor islands then came back to the pier. The fireworks were being launched from nearby so we had a front row view. (Steve) I thought this was one of the best firework displays I’d seen from a small town. Here’s another short video of the display. It’s very hard to describe this type of beauty so we put together a short video of our still photos. We hope you enjoy this armchair visit and get to see the park for yourself one day. We packed up and left Fundy National Park for a five- hour drive along TC (Trans Canada) 104 through New Brunswick to Nova Scotia. We crossed over to Cape Breton Island at the Canso Strait and took TC 105 to Whycocomaugh Provincial Park. Whycocomaugh (pronounced as Y-cog-o-maw). This would be home for the next week. The town of Whycocomaugh and the park are located on Lake Bras d’Or, aka Canada’s Inland Sea in the south central part of Cape Breton. The “lake” is saltwater and forms huge bay with a very small outlet to the Atlantic Ocean at its northern end and a canal at the southern end. We’d hoped to do some paddling here but Mother Nature didn’t cooperate. It was rainy, drizzly and overcast except for a few hours on two afternoons. Rain or shine this is a beautiful area. The park has only nine serviced sites and they stayed full so I was glad I’d made reservations. Our site was large and mostly open surrounded by fields. A real bonus was free WiFi at the registration hut. We had one problem. When we hooked up the electricity we blew the breaker. Usually this would be no problem as the breakers are at the site. Not here. We had to get the maintenance man to open the electric panel to reset it. This happened three times before Steve figured out that our breaker for the wall outlets was the cause. So for the rest of our stay we had zip cords running across the floor. Naturally we thought the problem was with us. Steve researched RV repair places and found we’d have to live with the problem until we got to Halifax in about three weeks. As we write this we’re happy to report the problem turned out to be on the park’s side. When we came into the park we were given several flyers and brochures about music events and square dances in the area. This is Inverness County and the center of Ceilidh events (Gaelic culture and music). Almost every sign you see will be in English and then in Gaelic. Cape Breton was settled by Gaelic Highland Scots who sought refuge from English tyranny. Their culture merged with that of Acadian French settlers to produce a unique blend of music, dance and food. You can hear common roots to our Appalachian music and Cajun tunes. The original Ceilidh (meaning kitchen) were jam sessions of friends and neighbors each contributing an instrument, song or step dance. Today the public gatherings are more formalized events usually charging a small admission and held nightly from June through October along the Ceilidh Trail, from Baddeck to Judique to Inverness. Last summer we enjoyed the Crooked Road in Virginia and we looked forward to a similar experience. Our first stop was at the Celtic Interpretive Center in Judique where we heard a well- known fiddler by the name of Glenn Graham. While we were there we met a woman from California and her husband. They came here several years ago and fell in love with the region. Now they return for six months each year and run a gift shop. They encouraged us to join in a square dance. We didn’t have a clue what to do so she danced with Steve and I danced with her husband. The first figure wasn’t too hard to follow. The second one was a bit trickier. On the third figure there were times I was a la mande left when I should a la mande right but they’d gently turn me in the right direction and continue. My sprained ankle held up but complained loudly the next day as did Steve’s knee that had been bothering him. As people left that night several locals stopped to say they hoped we had a good time and to come back. Music here is not just something performed for tourists. It is part of the people. They really do have music in their soul. Our last music event for the week was at the Red Shoe Pub in Mabou. Music is available every night from 5-7pm free but after all this is a restaurant so you’re bound to eat or drink as well. It was crowded and the most ‘touristy’ of the three places we went but still excellent. The restaurant is owned by two of the Rankin sisters, a Cape Breton version of the Carters. We were at a table for four and had just ordered our beer when the manager asked if we’d mind sharing the table with another couple. “We’d be happy to share.” That’s how we met a couple from Vancouver, Canada who were celebrating their 25th anniversary. They suggested we visit Meat Cove and eat at the picnic table in front of the restaurant for great food and a killer view. You’ll get to see why in a later post. The weather may not have been the best but it didn’t dampen our spirits. Our feet didn’t stay still with music all around us. 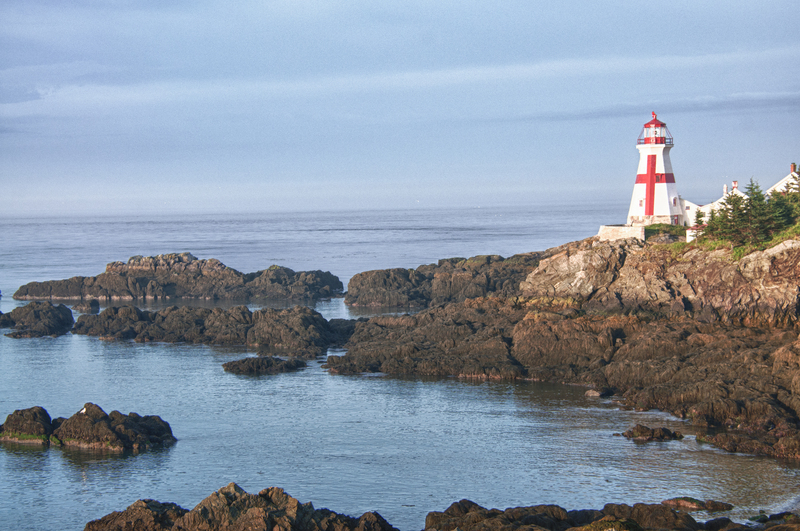 Most of us have heard of Campobello Island. 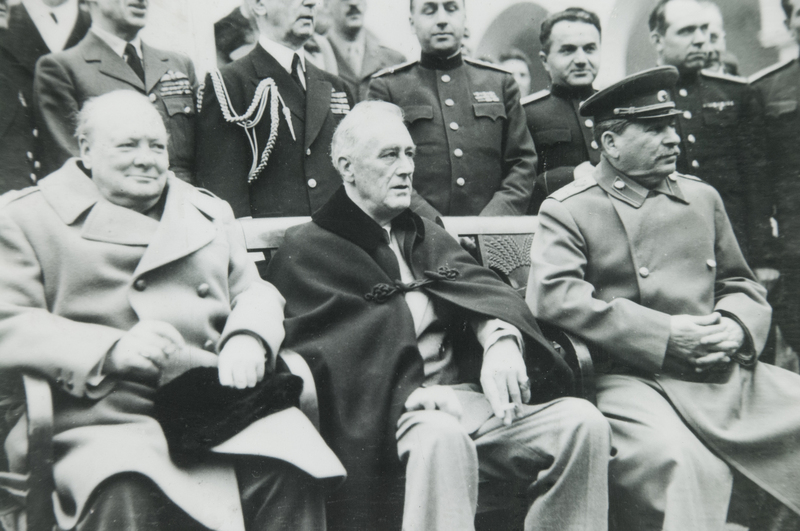 Other than the fact that it has something to do with FDR, I don’t think many of us know much about it. How many of us realize that it isn’t even in the United States? Actually, it’s just across the border, in New Brunswick, Canada, separated from the US mainland at Lubec, Maine by less than a quarter mile via the Franklin Delano Roosevelt Bridge. The only way off the island onto the Canadian mainland, is by ferry. It isn’t a large island, maybe five kilometers or so across by sixteen long (remember, we’re in Canada now, so we measure things by kilometers… klicks… a bit less than 2/3 of a mile). There are a few residential communities there, but not much in the way of services. A small IGA type grocery store, a post office, a small local library, and that’s about it. Not even a gas station. We hadn’t thought about our cell phone service until we approached the border. We had to make a quick change to our plan so we could make and receive calls in Canada. After all of that when we got to the campground we found out we had no service anyway! We found out our internet hotspot would be ridiculously expensive so we put that on hold. As we are dependent on free wifi now our posts especially those with video may be delayed or out of order as some free spots are too slow to upload these files. What it does have, is beautiful coastlines, a couple of very picturesque lighthouses, Herring Cove, a New Brunswick Provincial Park with RV camping facilities and the only International Park in the world completely within the boundaries of one country. The Campobello International Park is run jointly by the United States and Canada, but located totally within Canada. At Herring Cove we had a very comfortable pull-through campsite, surrounded by red spruce and birch trees, with electric connection, but no water or sewer at the site. There was a water spigot about a hundred feet (thirty meters?) from our site, so we had no problem filling up our fresh water tank. Being surrounded by trees, we didn’t even try our Direct TV antenna, which we were told might work in Canada as long as we are fairly close to the border. But the farther north we go, the lower in the sky the satellite is, so for our duration in Canada, we probably won’t be seeing much television. We do have several things recorded, and we still get Netflix movies, so we’ll still have something to watch on those evenings when we don’t feel like sitting outside at the fire or going in to play dominos or cribbage. One nice thing about the red spruce woods around us is the firewood supply. I had no trouble finding small dead trees or branches, which I dragged back to the site and cut into small pieces for the campfire. The spruce caught quickly and burned nicely… perfect wood for a fire. 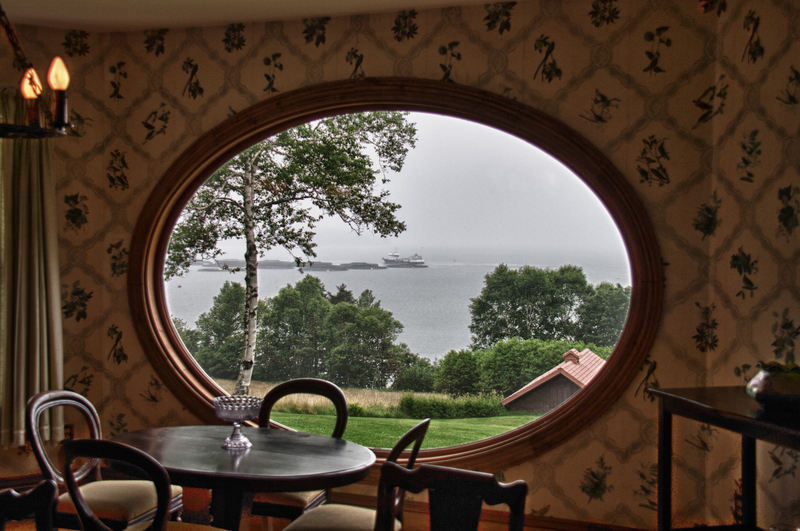 Back in the late 1890s, when Franklin Roosevelt was a year old, his parents vacationed on Campobello. There were a few resort hotels there, trying to attract the well-to-do from both the US and Canada. The Roosevelts fell in love with the island’s beauty and serenity. They bought land and built a summer “cottage” on the island. As young Franklin grew up, he also loved Campobello, hiking and swimming, canoeing and learning to sail. He brought his bride, Eleanor and she also was smitten. The original house, the one bought by Franklin’s parents, no longer exists. A neighbor’s will allowed Franklin’s parents to buy her home and gift it to Eleanor and Franklin. They expanded the house to become what is now known as the “Roosevelt Cottage”. Eleanor’s and Franklin’s children also spent their summers here. And it was here that Franklin, now a young man and up-and-coming politician, contracted polio. Most of the pictures you see of FDR are in his post polio years so I was fascinated to see pictures of him as a young athletic man golfing, sailing and playing with the children. Their property and 34 room summer “cottage” are now part of the International Park and open to tours most days. 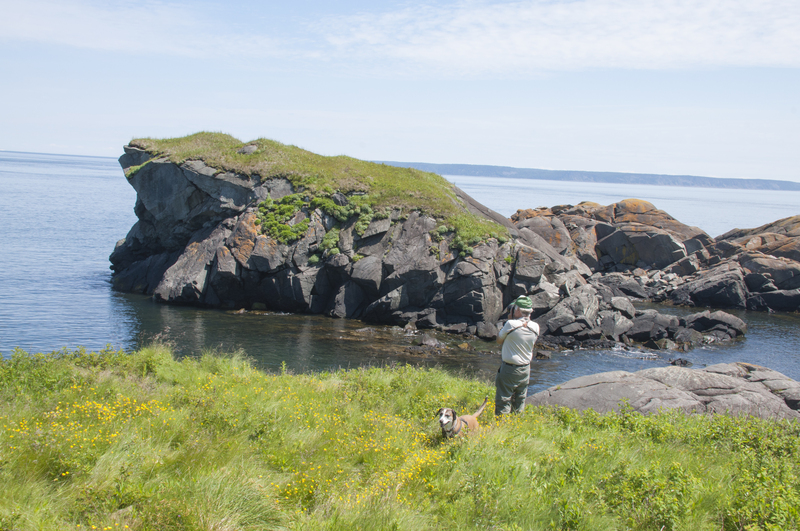 Across the road from the cottage is a large natural area of carriage roads for drives or biking, hiking trails and beaches for clamming or walking. Also available, at neighboring “Hubbard House” is “Tea with Eleanor”, a free event, held twice daily. 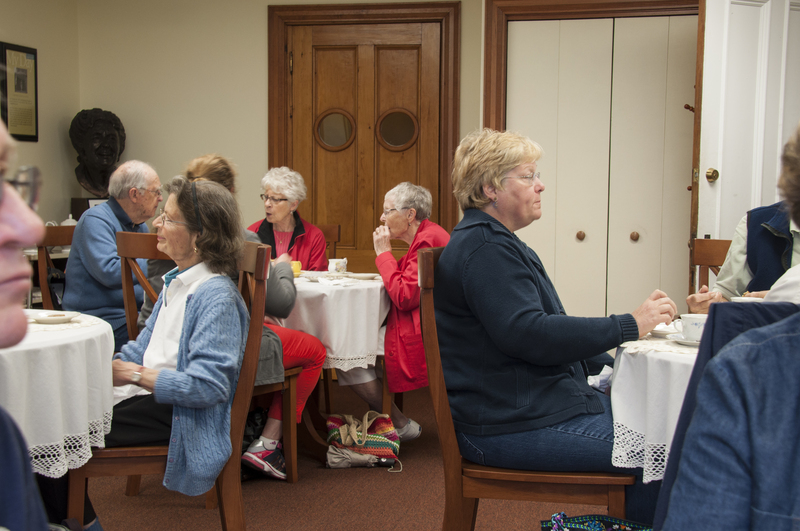 Tea and cookies are provided while two park docents discuss Eleanor and her fascinating life. Eleanor Roosevelt has always been a special hero to Chari, so I’ll let her take over for a while here. FDR is remembered here for his long residency and political accomplishments. 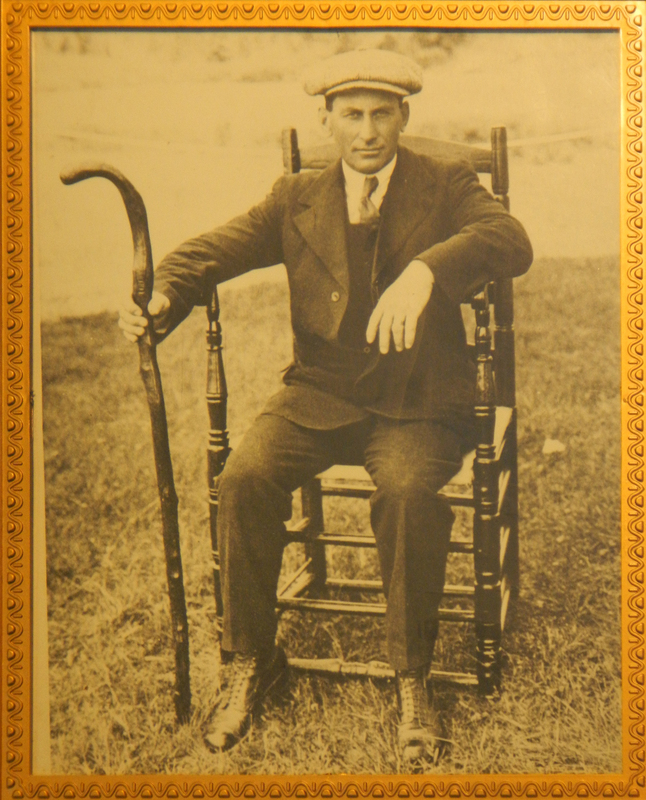 After contracting polio he returned to Campobello only 3 times. Eleanor returned every summer. She bonded with the local residents and is remembered for her warmth and sincere interest in the well being of local families. I’ve always thought that if I could invite people from history to a dinner party, Eleanor Roosevelt would be one of the guests. The two Interpreters (their name for Rangers), Carolyn and Violet, who spoke at the tea offered different views of Eleanor. One talk focused upon her achievements as First Lady, UN Ambassador and writer of her My Day column. The other related stories of a personal nature, many were stories that had been shared by visitors to the park. One of the most touching was a woman who as a child was being abused by her stepfather. She had written to Eleanor when she was First Lady. The envelope was just addressed Mrs. Roosevelt, The White House, Washington, DC. It was delivered. Three weeks later social service workers were at the home and took the children into protective custody. 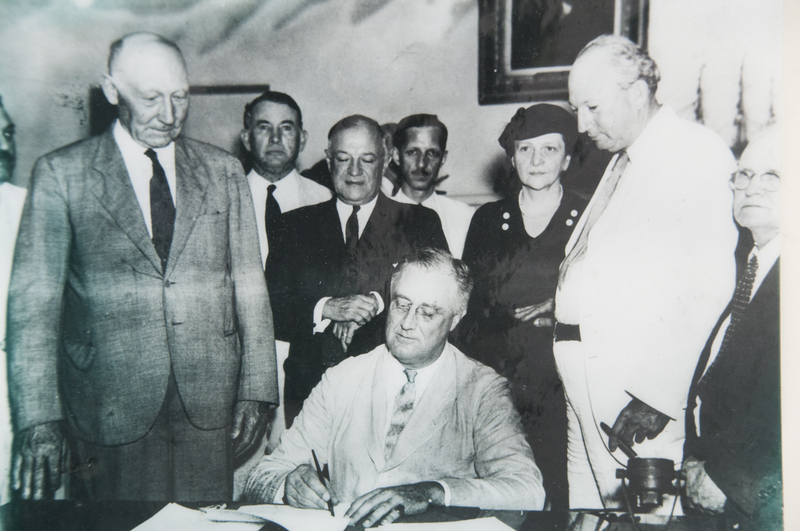 When that woman visited Campobello she had said if Mrs. Roosevelt hadn’t intervened she doesn’t know what would have become of her. 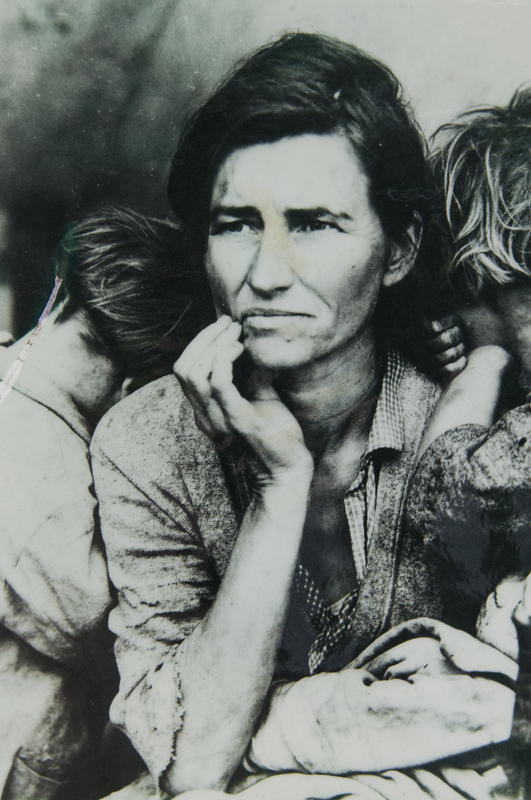 FDR credited her for making him aware of the plight of the average man. I’m sure this led to his aggressive programs during the Depression of the 1930s. Another interesting story is that when the bridge from Lubec, Maine to Campobello Island was just about finished, but not yet opened, around 1960, Eleanor arrived just after the ferry to Campobello had closed down for the evening. Bridge workers escorted her car across, and she became the first person, other than construction workers, to cross the bridge named for her husband. 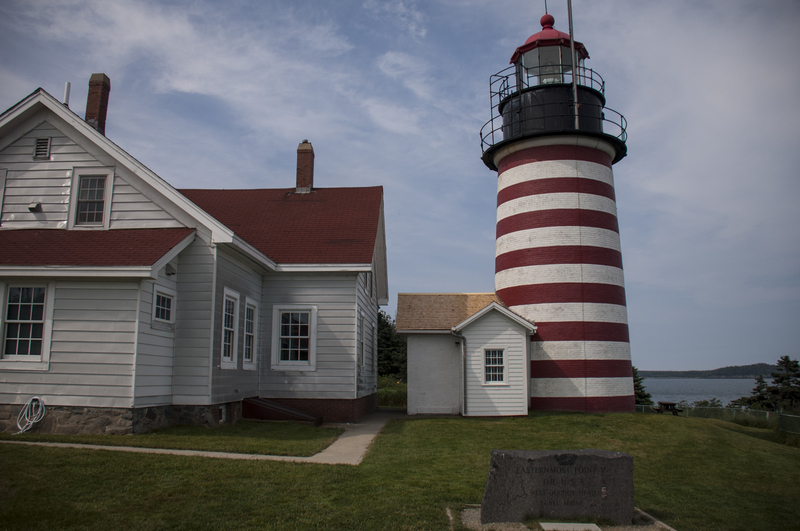 We took a short drive back into Maine one afternoon to see the West Quoddy Lighthouse, the easternmost point in the United States. West Quoddy, the easternmost point? Is there an East Quoddy? Well, yes there is, but that’s in Canada. And there’s a lighthouse there as well. At the West Quoddy lighthouse, there is a wall display mentioning the northernmost, southernmost, westernmost, and centralmost (is that really a word?) points in the US. Any clue where these places might be? The answers will be at the end of this post. 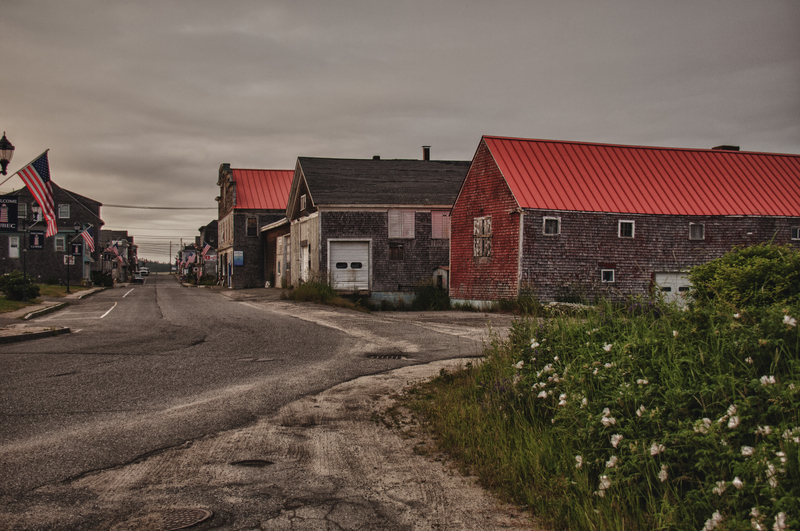 Back on Campobello, we took a few scenic drives and spent a lot of time just relaxing. On one drive, we went out to Cranberry Point and while out there, decided to take a bit of a hike to see a portion of a special sculpture. Sunsweep is an international art project, spanning the US/Canadian border. 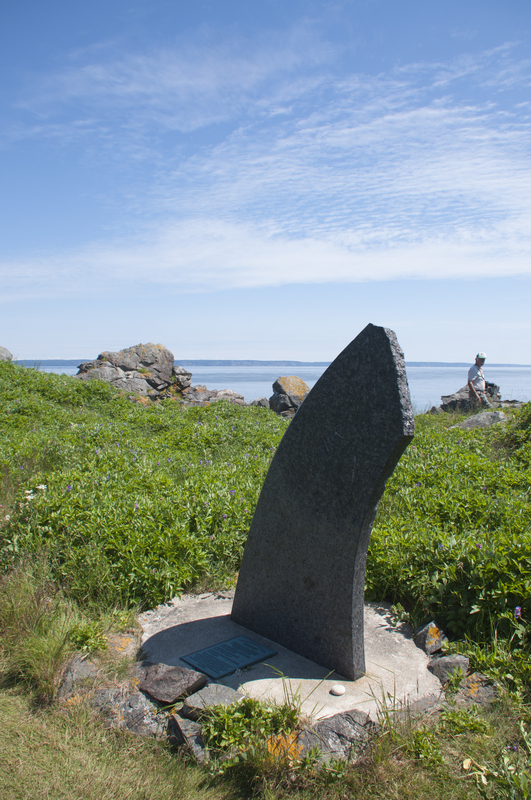 One portion of the sculpture is at the Roosevelt Campobello International Park, the center of the sculpture is at American Point Island, Lake of the Woods, Minnesota, and the far end is at Boundary Bluff, Point Roberts, Washington. From the brochure describing the sculpture: The human scaled units at each site are aligned to specific solar and stellar conditions. Facets of the sculpture correspond to solstices and equinoxes, and portray the path of the sun from east to west, from dawn to dusk. They were all carved from one slab of Canadian black granite, and are laser etched with a contour line of a woman’s hand that topographically evolves into a circle (sun symbol). I guess visits to Minnesota and Washington will be in the cards. I only hope they don’t include what happened here at the eastern point of Sunsweep. After hiking about a mile to get there, Chari stepped into a hole in the ground hidden by the grass and badly twisted her ankle. It didn’t help the ankle any, but she was able to walk back to the truck before it stiffened up. As I write this, a couple of weeks later, it’s almost back to normal, but it still swells up a bit at night. We had made friends with another camper, a lady named Joyce, a few sites away from us. She joined us for dinner and a campfire that evening, and while we were sipping on a glass of wine before dinner, we met another family, Nancy, Roger, and their daughter, Emma, who were just pulling in. Before setting up camp in their Class A motor home, they were filling up their fresh water tank from the spigot alongside us. We talked for a bit, and asked them to join us at the fire after dinner. Later, around the fire, Roger and Emma joined us, and Joyce was talking about how much she enjoys clamming on the beach. The next morning, Joyce took them all out to teach them. We would have gone, but with Chari’s foot, we decided to sit it out. Much to our surprise (and delight), when they returned, Joyce came over with a bucket of about three dozen soft shells for us. The following night we were invited to dinner by the Virginia family. We hope to keep in touch with all of them. What a treat that was! Before dinner that evening, we steamed them and had a delicious appetizer of steamers dipped in garlic butter with a glass of beer. Ahhh… Life is Good! Well, the answers depend on if you are speaking of all fifty states, or just the “lower forty-eight”. Speaking of all fifty, the northernmost point is Point Barrow, Alaska. Westernmost is Cape Wrangell, Alaska. And southernmost would be Ka Lae, Hawaii. The geographical center of all fifty states is a point seventeen miles west of Castle Rock, near Belle Fourche, South Dakota. If, you are interested in the “lower forty-eight”, Cape Alava, Washington is the farthest west, Key West, Florida the farthest south, and Northwest Angle, Minnesota the farthest north. A point two miles northwest of Lebanon, Kansas is the geographic center, but forty-two miles south of Lebanon is the geodetic (following the curve of the earth) center. Confused? So is the U.S. Geodetic Survey, which no longer calculates “centers” due to the imprecise nature of such measurements. According to the sign at West Quoddy, Oscar S. Adams, Senior U.S. Mathematician, said that since there is no definite way to locate such a point, it’s best to ignore it entirely. Roadside Curiosity #1- So You Think We’ve Been A Lot Of Places…. While visiting Hopewell Rocks in New Brunswick, Canada we came across something that didn’t fit into either our Roadside humor or trivia categories. We decided to start a new category called Roadside Curiosities. This truck/camper parked behind us. It was covered with stickers from all over the world. Steve did a short video. Allow the video to load completely before playing for best results. To view full screen, use the expand arrow in the lower right corner before playing. Enjoy!